9 inch TFT LCD Color screen with high resolution: 1024*768pixels, For PC 720p/1080P selectable. Decent Shape & Portable size: easy to take it together when you go for travel or outdoor camping. Can be use for home security display support 2 cameras input.Yellow-V1,White-V2. 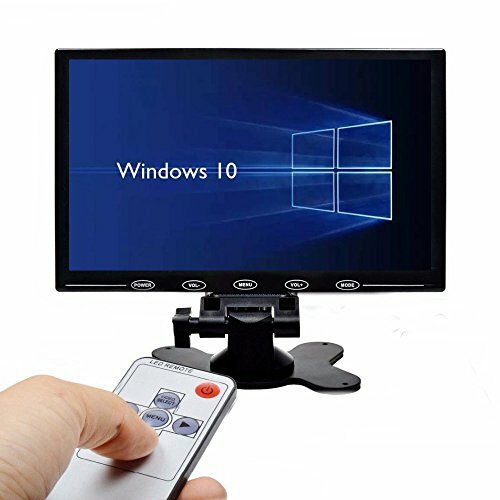 It can be installed on the car roof or onto dashboard if you use monitor inside of vehicle.Adjustable stand suitable for your different view angle. Package Included : 1 X LCD color monitor；1 X Power supply for monitor;1 X Mount stand; 1 X AV cable;1 X VGA cable. Quality Guarantee to Cover Any Issues: Follow amazon 30 days return policy and 12 months replacement warranty. If you have any questions about this product by Camecho, contact us by completing and submitting the form below. If you are looking for a specif part number, please include it with your message.